The 2009 Stanley Cup Final was the best-of-seven NHL championship series of the 2009 Stanley Cup playoffs contested between the Eastern Conference champion Pittsburgh Penguins and the Western Conference champion Detroit Red Wings. It was Detroit’s 24th appearance in the Finals and Pittsburgh’s fourth appearance in the Finals. This was a rematch of the 2008 Finals where Detroit had defeated Pittsburgh in six games. 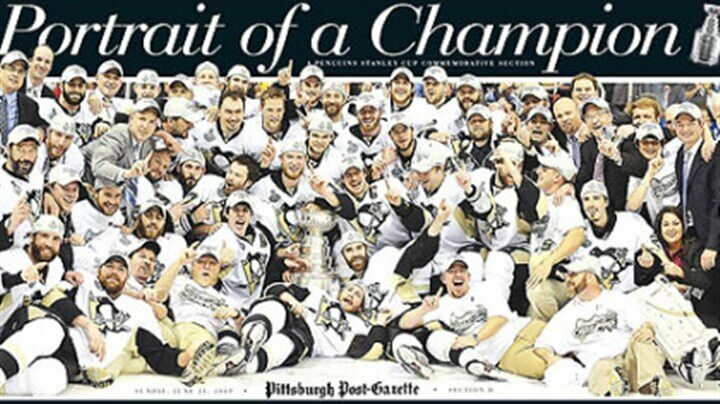 This time Pittsburgh defeated Detroit four games to three to win their third Stanley Cup in franchise history. Pittsburgh’s Evgeni Malkin would win the Conn Smythe Trophy as the Most Valuable Player of the 2009 playoffs, becoming the first Russian-born player to win the trophy.